The iconic BAFTA mask was designed in 1955 by US sculptor Mitzi Cunliffe and has become an internationally-recognised symbol of excellence in the art forms of the moving image. Born in New York, Mitzi Cunliffe read Fine Arts and Fine Arts Education at Columbia, later working in the studio of a sculptor in Paris, though it was an artistic experience elsewhere in France which set the true course of her career. Seeing the West front of the cathedral in Chartres for the first time, Cunliffe recalled, was "Love at first sight. I knew then that was the kind of work in which I wanted to be involved." Mitzi lived in England from 1949 to 1976 and much of her work was carved or modelled in a small garage at her home in Didsbury, Manchester. From the direct carving of stone reliefs in sections for works on public buildings, she later developed methods for producing modular sculpture cast in various materials, including concrete and aluminium, for interiors and exteriors. In 1955, a trophy mask was commissioned by Andrew Miller-Jones of the [then] Guild of Television Producers. Cunliffe originally modelled the mask in Plasticine, from which the casting moulds were made, and though based on the traditional concept of the theatrical tragicomic mask, it is more complex than its immediate front facial appearance suggests. The hollow reverse of the mask bears an electronic symbol around one eye and a screen symbol around the other, linking dramatic production and television technology, and the full intention of Mitzi's original design included a revolving support to allow the mask to be turned and viewed easily from either side. 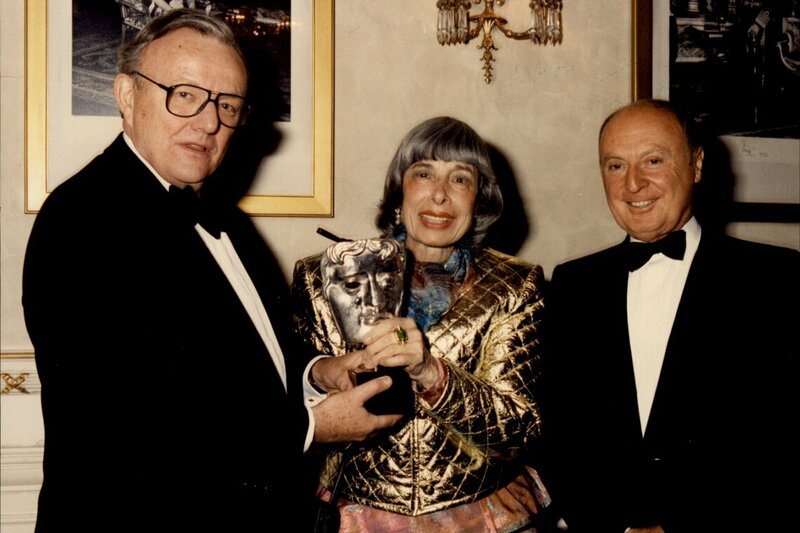 The Guild of Television Producers and Directors merged with the British Film Academy in 1958 to become the Society of Film and Television Arts. The SFTA later became the British Academy of Film and Television Arts in 1976. At the royal opening of its new premises the first BAFTA mask, cast in bronze, was presented to Sir Charles Chaplin who was honoured as an Academy Fellow by the Academy's President HRH Princess Anne. Cunliffe's distinct design is now a symbol recognised worldwide. 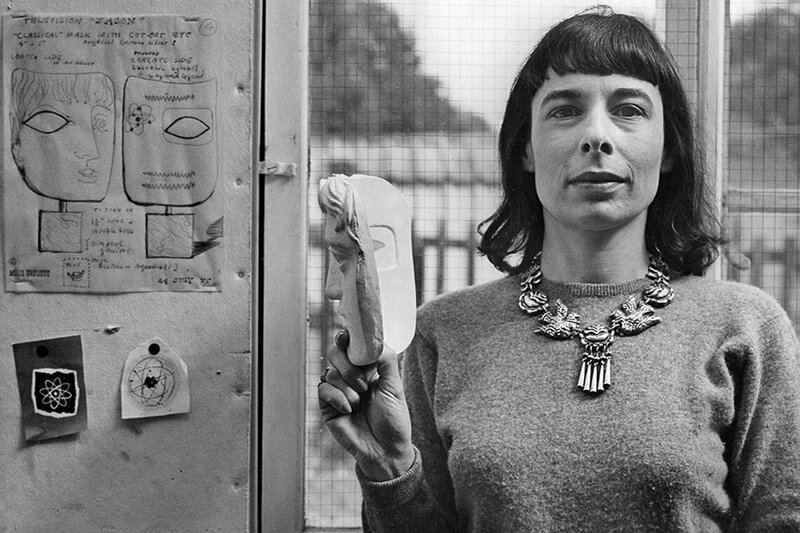 Mitzi Cunliffe passed away on 30 December 2006 in Oxford, England.